This Sign Supply Produces Mid-Air Advertising Magic! 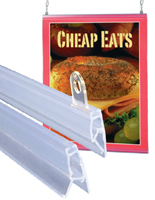 This Ready to Ship Sign Supply For Hanging Posters Is the Best In the Industry! 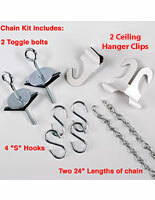 Buy at SignSupplies2Go.com! 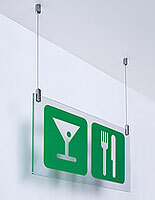 This sign supply package is designed for ceiling-based displays. 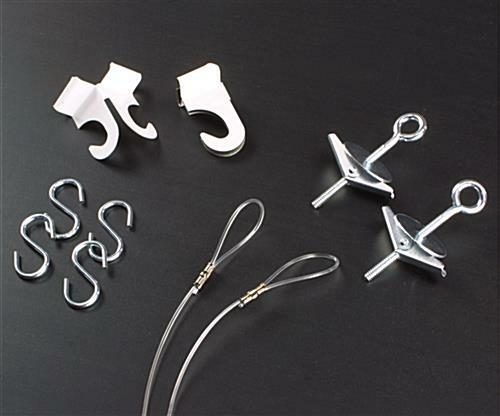 On suspended ceilings, you can use the hanger clips. 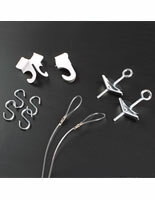 Choose the toggle bolts when your ceilings are composed of either sheetrock or plaster and lathe. This professional sign supply with mounting hardware offers you a dazzling alternative to the traditional wall-based frames, whether they're cheap plastic or heavy metal. You'll find this ceiling mount product easy to install and update, and a stylish promotional accessory. More and more businesses have begun using this sign supply kit in place of wall frames because it works so well at catching customers' attention. Suspend your advertising from above and you've freed up floor and wall space for more signs and posters! This sign supply gives retail department store chains and grocery markets a high-visibility method for promoting new merchandise or for informing customers of special events and floor layouts. 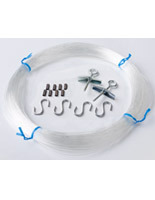 For locations requiring longer suspension wires, our company offers those installation kits as well.